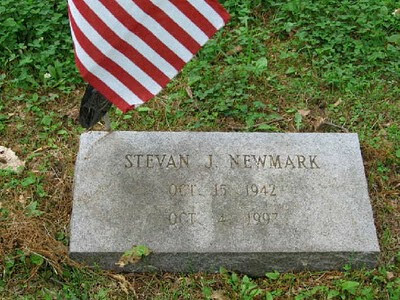 My uncle, Stevan J Newmark, was born on October 15, 1942, the second child of Melvin Lester Newmark and Belle "Sissie" Feinstein. Through his initials, he was named after his great grandfather, Samuel Joseph Newmark. He served in the Army Reserves. He owned a commercial printing company. He had a wonderful sense of humor. The Newmark family is a close one, and I grew up having Sunday dinners with uncles, aunts, and cousins at my grandparents. I have many fond memories of my uncle. Thirteen years ago, Cancer took his life way too soon, 11 days before his 55th birthday. He is buried at United Hebrew Cemetery.